Happy 6th Birthday Celtic Heroes! Home Celtic Heroes Happy 6th Birthday Celtic Heroes! 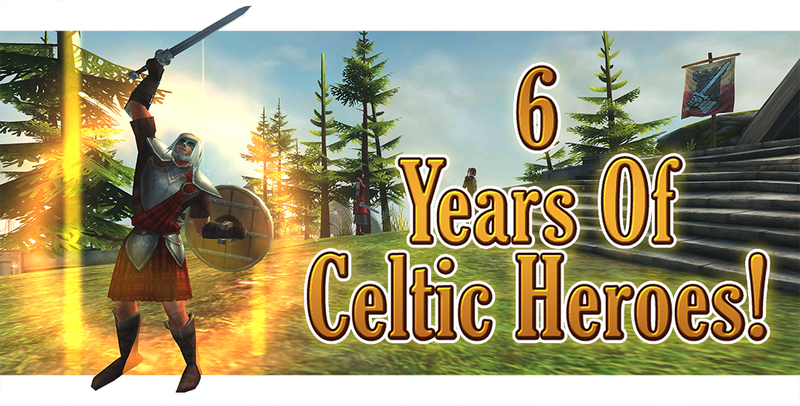 Today, June 15th, Celtic Heroes celebrates its 6th birthday! We’ve been so busy it almost passed us by! Congratulations to the team for their continued hard work and being some of the greatest people to work beside daily. And of course a massive thanks to our players for being with us on this journey, helping shape Celtic Heroes into what it is today. ‹ Celtic Heroes Under The Hammer Update Released!